Jean knits and knits beautiful garments! 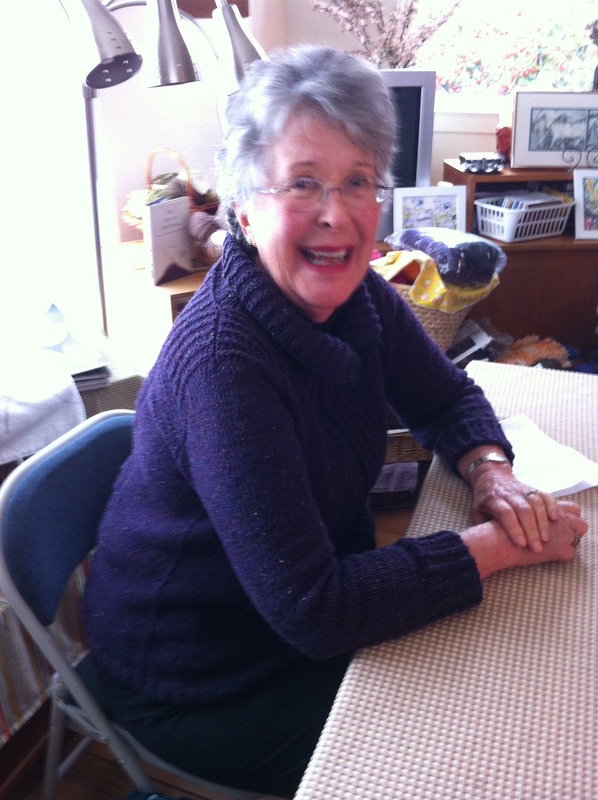 Jean knits and knits….the beauty of it is that she has the greatest looking knit garments. This time her beauty is the Raindrop Cardigan…pattern from “Textured Stitches” by Connie Chang Chnichio. Jean chose yarn from her stash – DK Wool Tweed by Jo Sharp. 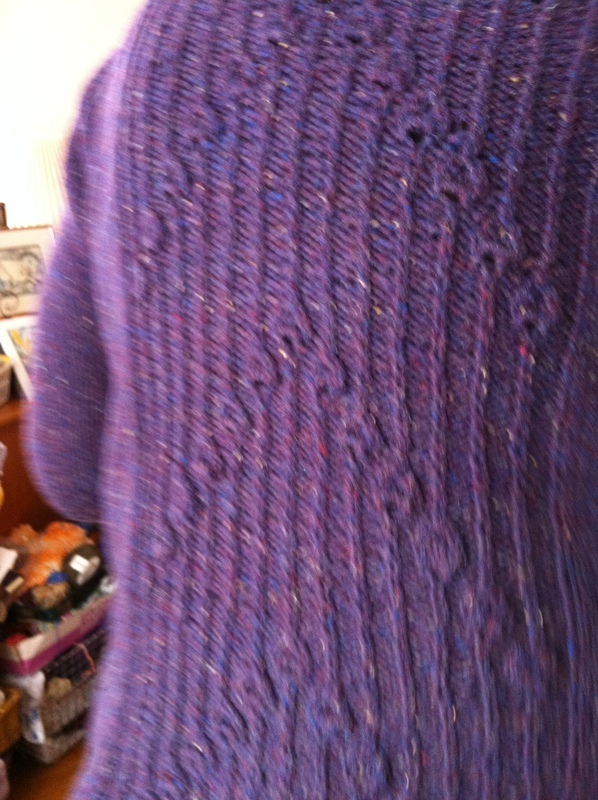 I am in awe of how much Jean knits….she not only starts but she finishes! I do know a secret….there was one time some years ago where she was really unhappy about the performance of a yarn she was knitting (which shall remain unnamed) and she threw it in the fire…an action that does seem unrelated to Jean!